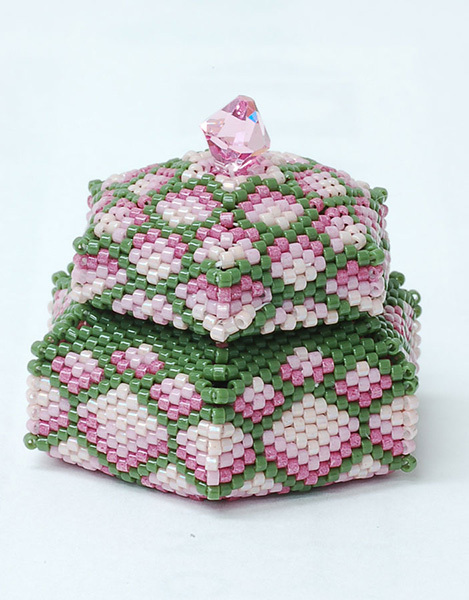 Learn how to bead a cute little hexagonal box and lid in no time using Delica seed beads and your knowledge of Peyote stitch. This pattern was designed by Julia Pretl. You will also learn the art of decreasing and making a lid with a lip. This box makes a great gift for friends and family.